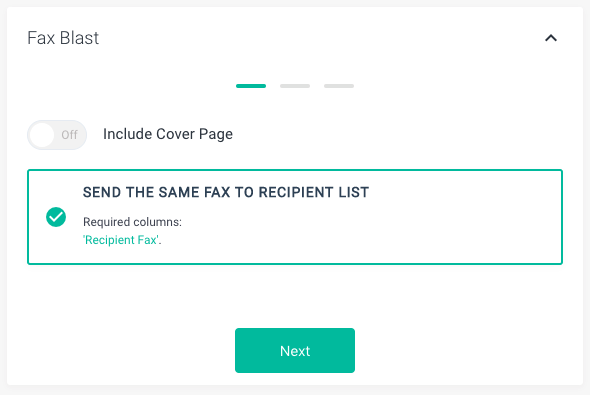 Faxing to a total of 10 recipients or less is a standard feature included in all plans and can be done simply by adding numbers to fax from the send fax screen. Users wanting to send a fax to more than 10 recipients at once can do so utilizing our Fax Blast feature. The default setting for the Fax Blast feature is set to off for all accounts. 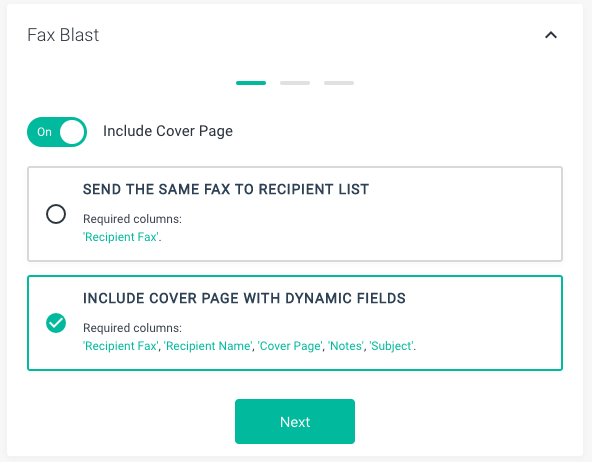 Please contact a Documo team member if you would like to enable the Fax Blast feature on your account. 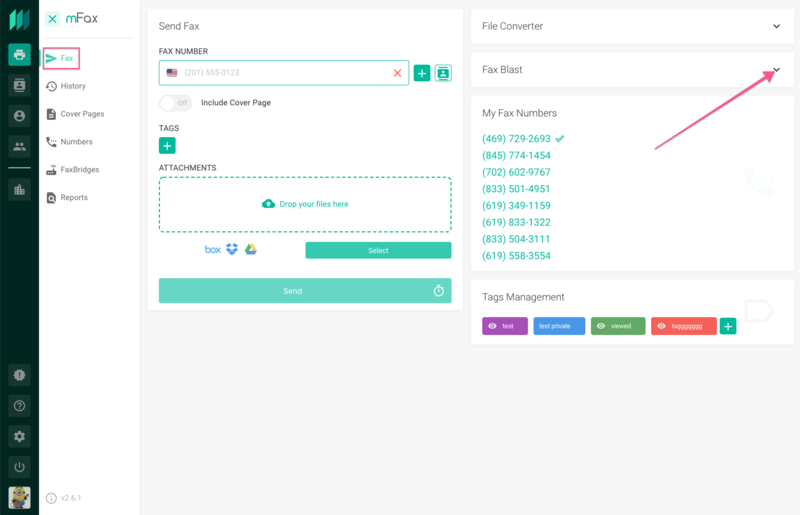 After enabling the Fax Blast feature you will be able to access from the main Send Fax screen in the web application. First, click the down arrow on the Fax Blast card. 1. Send a fax to a recipient list simply consisting of a recipient fax number. 2. Same as option 1 but include a cover page. 3. Same as option 2 with adding dynamic fields for the cover page. Choose the option you want and proceed to follow the instructions. It will prompt you to to upload a csv file containing the appropriate fields. After your list of recipients has been uploaded you will need to add your files to be faxed. Once these have been added simply click the send button and mFax will take care of the rest. All faxes will populate to your history screen and you'll be able to view the status of each as they come in.